The group behind the Kodi media player used by millions to watch movies, TV shows and live sports say they are sick of being linked to piracy. Those using the Kodi name to promote infringing activity in future face action for trademark abuse but it won't be a battle easily won. Over the past several years the Kodi media player has grown to become one of the most-used pieces of software through which people can stream, download and otherwise obtain copyright infringing content. While millions have heard of BitTorrent, living rooms around the world are now more likely to have a device running Kodi, largely due to how easily the software is run on smart-enabled TVs. Interestingly, the companies behind both BitTorrent and Kodi have a similar problem. Through the actions of their users, both sets of developers are up to their necks in piracy-related news and both would prefer not to be since neither has done anything illegal. BitTorrent Inc. has made huge efforts on the PR front to try and educate the masses, with limited effect. Now Team Kodi say they will do the same but if the early signs are a prediction of the future, this will be a tough challenge. Kodi is just a media player, it carries no content. However, Kodi has the ability to run third party plugins that in many instances make infringing content available to the user. So, when people load Kodi with plugins recommended by a friend and then see the latest movies listed, they believe that Kodi – and the people behind Kodi – are the ones providing them with the movies. Needless to say, for Team Kodi this is a huge problem. Not only are they already wrongly associated with huge amounts of infringing activity, the installed addons often break or do not function as advertised. When users get problems they head off to the Kodi forums and vent – to entirely the wrong people. “Every day a new user shows up on the Kodi forum, totally unaware that the free movies they’re watching have been pirated and surprised to discover that Kodi itself isn’t providing those movies,” says XBMC Foundation President and Kodi Product Manager Nathan Betzen. But while those who install Kodi on their own machines and obtain the addons themselves probably understand that Team Kodi isn’t to blame for their piracy, there are countless thousands – maybe millions – of people out there who are entirely clueless. That’s because they are buying hardware devices from places such as eBay and Amazon with Kodi ready set-up with potentially infringing third party addons. More often than not, these products are advertised as “fully loaded” and less subtly as “Powered by Kodi”. The latter infuriates Team Kodi, especially when the devices fail to operate as promised. “There have been a wave of sellers who decided to make a quick buck modifying Kodi, installing broken piracy add-ons, advertising that Kodi let’s you watch free movies and TV, and then vanishing when the user buys the box and finds out that the add-on they were sold on was a crummy, constantly breaking mess,” Betzen explains. By now there are millions of Kodi users and although its difficult if not impossible to put numbers on them, it’s probably fair to assume that the majority are using the software for piracy. So what can the Kodi team possibly do? Well, the team has a plan which involves dissociating the Kodi name from infringing acts. The XBMC Foundation owns the ‘Kodi’ trademark and is legally entitled to chase down people who use it without permission. They announced an intention to do so in 2014 but it appears things have gotten so bad since that core Kodi developers have threatened to quit unless something more aggressive is done. “This means we will issue trademark takedown notices anywhere we think the likelihood for confusion is high. If you are selling a box on your website designed to trick users into thinking broken add-ons come from us and work perfectly, so you can make a buck, we’re going to do everything we can to stop you,” Betzen warns. That’s right. 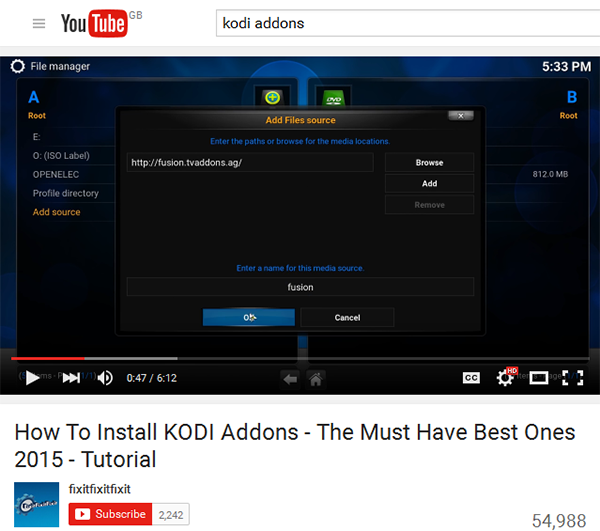 Team Kodi aren’t just going to target sellers of piracy-configured boxes, but even people putting up YouTube videos that use the Kodi trademark without permission. There has already been vigorous debate in the Kodi forums over how far the team will be prepared to go, with suggestions that even people monetizing “Kodi tips” could become a target. Only time will tell how this will play out, but the Kodi team are under no illusions that this is a huge task. To that end they’re enrolling supporters to help them with their trademark offensive against both sellers and YouTubers. “If you see somebody selling a box that’s ‘fully loaded’ or comes with the phrase ‘Free movies and TV with Kodi,’ please, ask them to stop. And let us know. It’s OK to sell a vanilla Kodi box. It’s OK to sell a fully loaded box that doesn’t have Kodi installed or fully rebrands Kodi to something else entirely. It is not OK to sell a fully loaded Kodi box,” the team clarify. Interestingly, while Team Kodi are clearly sick of being connected to piracy, they aren’t actually condemning what the user does. “Team Kodi maintains an officially neutral stance on what users do with their own software. Kodi is open source software, and as long as the GPL is followed, you are welcome to do with it as you like,” Betzen explains. There’s no doubt that the Kodi team has a mountain to climb and at this point it seems unlikely they will ever truly get to the top. That being said, it will be interesting to see them try as this is a unique situation that few have ever faced before.